Lee el relato anterior en « How to buy a sim card in iran. 1 How much it costs to travel to Iran? 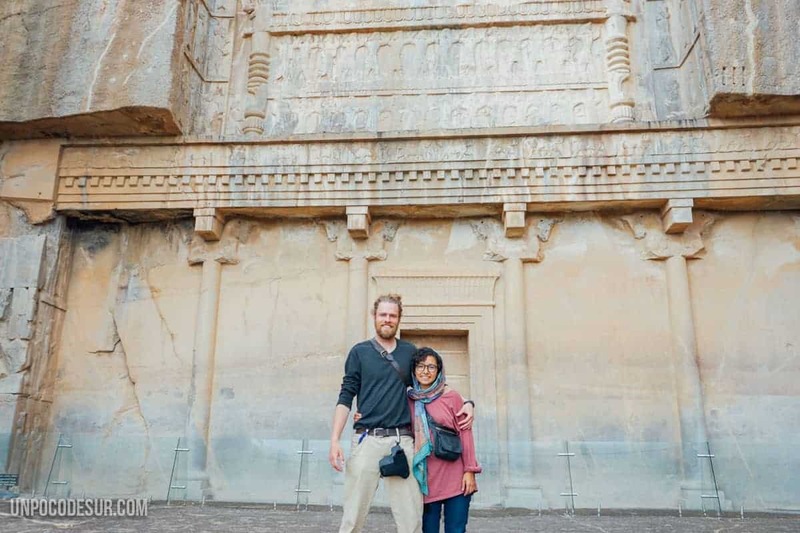 As a good lover of numbers (and letters), and finding usefulness to that obsession I have for the control of money, I’m here to leave documented all our travel expenses for Iran so that you can plan your trip according to the size of your pocket. In order to consider this budget, it is important to know how we travel. This changes in every country according to what our plans are. You have to understand that if your travel style is different, this budget could also be helpful to give you a general idea of the prices and costs in the country. In Iran, in particular, we always stayed in private rooms (most with shared bathrooms). We did Couchsurfing on a couple of occasions. We ate in fast food stalls or small street restaurants. We travel mostly on a bus or hitchhiking. We don’t usually pay to see sites that we think are not worth it, so if you are visiting tourism we recommend that you take this into account to increase your budget as tickets have increased their price considerably since 2015. We did have to reduce our budget since sadly someone stole 500€ from Jesper’s pocket in Tehran during our first 3 days of stay in Iran. Money is not easy to get here due to the international restrictions, so if you don`t have cash it will be hard to get. We were a total of 36 days in Iran and we spent an average of 24,62 € per day between both, that is, 12,31 € per day per person (about $ 14,5 USD). We had an expense that we will not count within Iran as it is the visa for India (considerably high). We travelled during the months of April and May 2017 and by then the euro was on the 40.000 rials mark, today is about 47.000. we recommend you always use an updated currency exchange tool. You can see the apps we use to travel. How much it costs to travel to Iran? Here we will take into account every place we have slept during our stay in Iran. During this particular trip, we didn’t do just Couchsurfing because of the complexity to choose the dates, however, we were invited a couple of times and we camped some nights, especially when we were hitchhiking. Most of the rooms we sleep were basic but in good condition, they are not luxury rooms but if you don’t need any extra is enough to sleep one and two nights (with some exception). 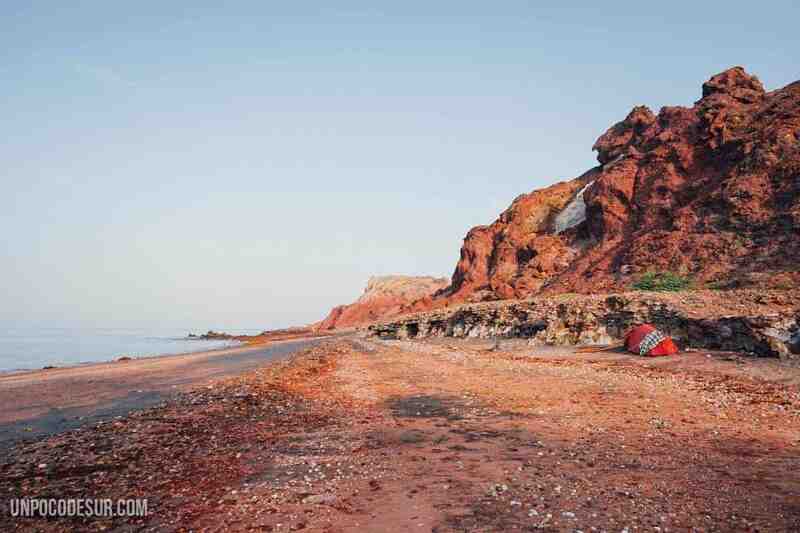 Sadly in Iran there is still much to do about accommodation and services for tourism, the idea of the hostel barely exists, although it is developing and in general budget accommodation is not the most widespread. We paid between 400.000 and 725.000 rials per night being the cheapest room in Shiraz and the most expensive room in Yazd, actually a bedroom of 6 People (in a very cute hostel). Sometimes the price does not match the quality, a night in Kashan cost us 420.000 and the bed was hard as a rock. On the other hand, the Shiraz room had even a fridge inside the bedroom. In this section, we include everything we ingest, drink and even, smoke. In general, street food is not expensive, but also not very diverse, so if you want to eat something different than falafel, kebab or Ghormeh sabzi (the best food in the world) you will have some issues. 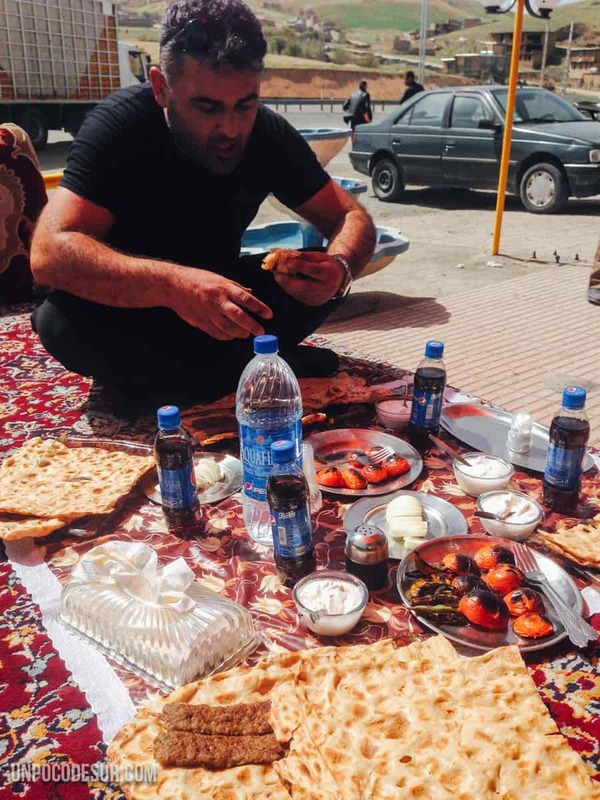 There are also plenty of restaurants around but due to the amazing Iranian hospitality we did not pay for our food in many cases and in others, we were invited to eat with families. IMPORTANT: It is important that you know what the Taarof tradition is not there to abuse anyone’s hospitality. It’s complex but necessary in the county, so please, as hard as it could be (we know it) try to pay for your food or invite others every time you can and show them also gratitude. We leave you with a few prices of common things to get you to the idea of basic costs. 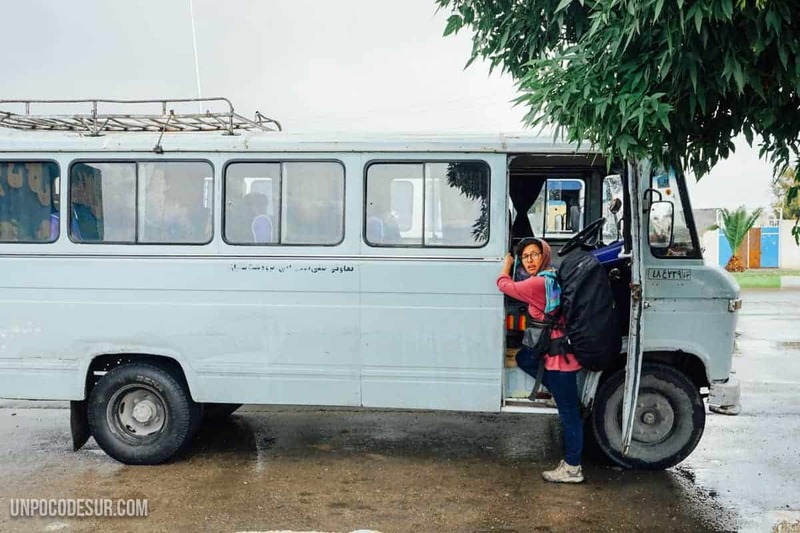 Here we include everything we have used to move, from small urban buses, passing through buses between cities (very cheap in Iran) and even some other taxi. Iran also has a train system that we didn’t have the pleasure to try, but we took a couple of ferries to get to Hormuz island. Remember we hitchhiked on some of the trips, hitchhiking in Iran is incredibly easy thanks to the huge heart of the Iranians. Buses in Iran are ultra comfortable, super VIP, seriously, huge reclining seats and the trip includes a little snack. For big distances, they are certainly one of the cheapest ways to move around the country. From Tehran to Isfahan we paid 280.000 rials per person. From Shiraz to Bandar Abbas we paid 400.000 per person. Most local buses cost between 15.000 and 20,000 the ticket. All the details about our expenses in each city can be found in their articles. In this category, we include everything about tours and tourist tickets and attractions. As we said before, is not really our style to pay for tickets unless we believe that it is something worth it (or we want to see it either way). We travel full time so we understand this is not the common standard. Since we have time we usually enter most of the free attractions. Keep in mind that when we travel the tickets had increased considerably, so if you have seen prices in an old blog I recommend you to make sure you get them right before visiting.